Cognitive Dissidence: The Wisdom Of Cathy Myers' Campaign Strategy Is Debatable. The Wisdom Of Cathy Myers' Campaign Strategy Is Debatable. What the gentle reader may not be aware of is that Randy isn't the only Democrat running. Days after Randy announced, Cathy Myers slapped together a homemade video to announce her campaign. She's been trying to play catch up ever since, without much luck. Being so far behind, Myers decided to go negative and this quickly turned into pure desperation. The desperation of the Myers campaign has led them to make one unforced error after another - everything from false claims of endorsements to her campaign manager trolling and bullying Randy's supporters. One of their missteps has been an ongoing one that they continuously repeat to the point of ad nauseum. For months, Myers has been demanding debates with Bryce. Now, this is a common stunt pulled by the candidate that is lagging behind in the polls and/or in fundraising. But to start raising the issue a year before the election is utterly bizarre. 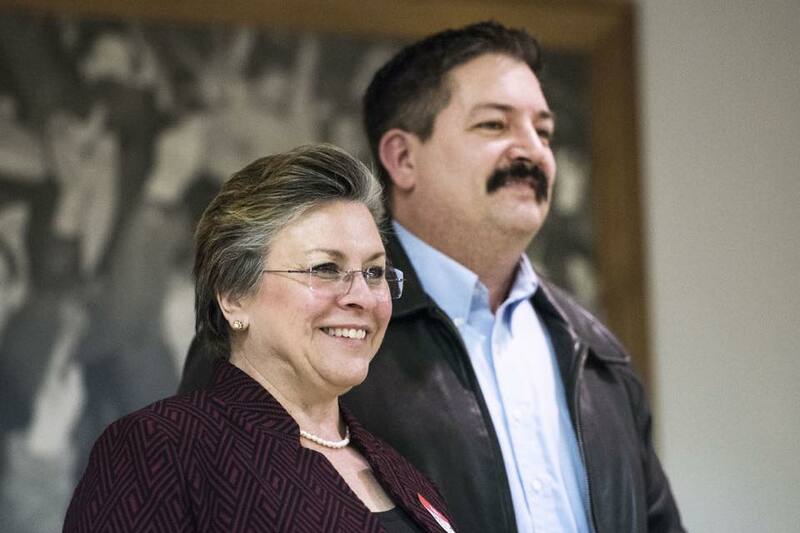 Yesterday, Cathy Myers proposed a series of six debates with her Democratic Primary opponent, Randy Bryce. Myers offered to participate in a debate in each county within Wisconsin’s 1st Congressional District – Milwaukee, Kenosha, Racine, Rock, Walworth, and Waukesha. Bryce has ignored her proposal, but did acknowledge that the August 14th Primary is heating up by buying $80,000 worth of TV advertisements for the month of March. Bryce is a 20-year ironworker and three-time candidate who has never won a primary election. He is ignoring Cathy Myers, a 24-year teacher and two-term elected official who currently represents Paul Ryan on the Janesville School Board. Bryce’s campaign has said he plans to debate “whoever is on the ballot,” which will not be determined until the June filing deadline, a year after his June 2017 campaign announcement. There are a number of problems with Myers' little tantrum, besides the fact that it is distasteful and serves only to reveal her desperation and the poor quality of her campaign. Secondly, she's already been on stage with Randy, just last month. Granted, they did not appear at the same time except for a photo op, but she had a chance to show why she thinks she is the better candidate. It apparently failed which is why we're seeing the higher level of desperation and self-pity. Thirdly, Randy has repeatedly said that he is more than glad to debate any and all opponents once the ballot has been set. It doesn't make much sense to spend time debating someone who isn't even going to be on the ballot. It's a waste of time, energy, money for the candidates and the voters. If Myers truly wants to see Lyin' Ryan repealed and replaced, she would do the honorable thing and drop out, throwing her support to Randy, who is the clear front runner and the best chance the Democrats have had in decades at regaining that seat. But if she chooses to continue to run, which is also perfectly fine, she would be better served by running a positive campaign and focusing on raising her profile and raising the funds that she so desperately needs if she even wants to think that she has a chance against Ryan. If she continues on the course she's on now, she's not doing any favors for anyone but Paul Ryan. Bryce has all the cash, a Bernie endorsement, and a high powered campaign team from out eat, but his in district supporters feel they have to resort to this kind of pathetic horseshit? Sad. - June 30 is the date absentee ballots are mailed for the Aug. 14 partisan primary election, (per the 45-day fed statute for fed elections). To your point, any candidate not running against a Republican incumbent now is running for a Republican incumbent. The Dem party turned away from Sen. Sanders supporters during the Presidential Primary here in the 1st CD. While I myself, declined to volunteer after being made to feel unwelcome at Dem office in Racine I did vote for Hillary Clinton. To many stayed home or after years of living in the the heart of the Rust Belt people wanted to believe tRump and went for his lies. There is also a mammoth split in the state/party on foxCONn. More will trust Randy to fight and be honest Sen. Sander's endorsement of Randy Bryce is important. It is healing. Mr. Bryce can pull the party in the 1st CD back together. I'm no big political head. Just a voter that volunteers when she can but thats's what I feel and hear from friends and family.